After the decision of the students of the University of Tirana to isolate themselves inside the faculties' premises, also their peers at Aleksander Moisiu University will do the same in Durrës. Through an official reaction, the members of the Student Council announced that starting by tomorrow the UAMD students will be will get self-isolated within university environments. 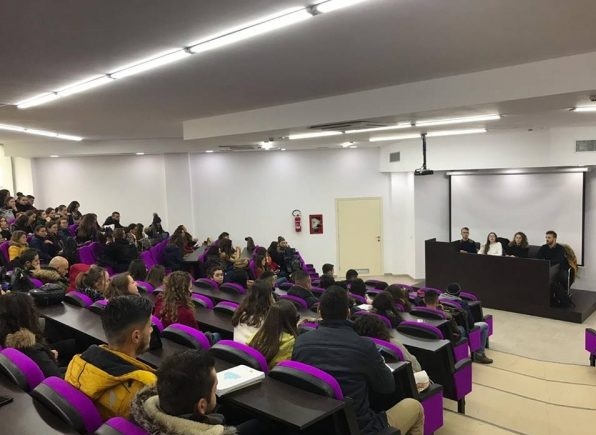 "The students of the University of Alexandria Moisiu Durrës have held today a meeting within the University, called by members of the Student Council. After much discussion, the students referred to the Student Council the issues they face in daily university life. One of the points of interest that was discussed at the meeting was the attitude that the UAMD students will hold, regarding the situation of education in general and the requirements that students now have throughout the country. At the end, the students came to the conclusion that the only path leading to the fulfillment of the 8 but most important requirements of the Higher Education Law is the boycott of the teaching process. The university is ours, and the resistance will certainly be done within faculty premises. Starting at 07:00, on Tuesday, UAMD students will stay within the university environments as our colleagues in almost the entire country. The teaching process has become very important to us, but more important is a quality education system, so UAMD students by starting tomorrow will boycotting the lesson until the government overthrows the law of higher education and fulfilling our requirements.